Located in Swedesboro, New Jersey in Gloucester County is Think Pavers—a hardscaping contractor that provides dream backyards. They have also been hired to work on municipal and commercial projects to turn common areas, parks and other areas into places of comfort, peace and beauty. 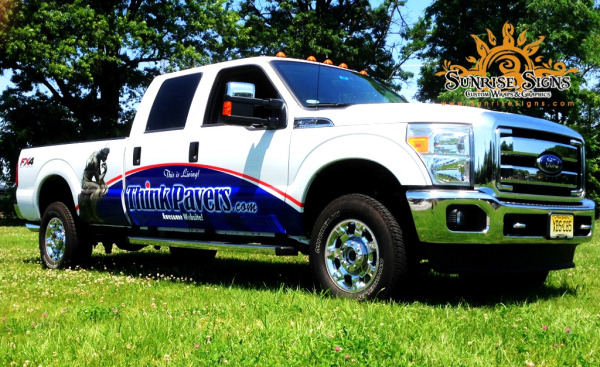 With five Ford F150 pickup trucks—one with a utility body, Think Pavers turned to Sunrise Signs for fleet truck wraps to help build their brand.